Her husband used to be a Type-A personality. He was a go-getter, she said, a high performer at work. That was before workplace bullying took its toll on him. "He's a shell of who he was before," his wife told listeners of the "Insight" public affairs program in central Pennsylvania. "He's had two suicide attempts since this all has happened, and the most recent one was two weeks ago." The couple participated via telephone. 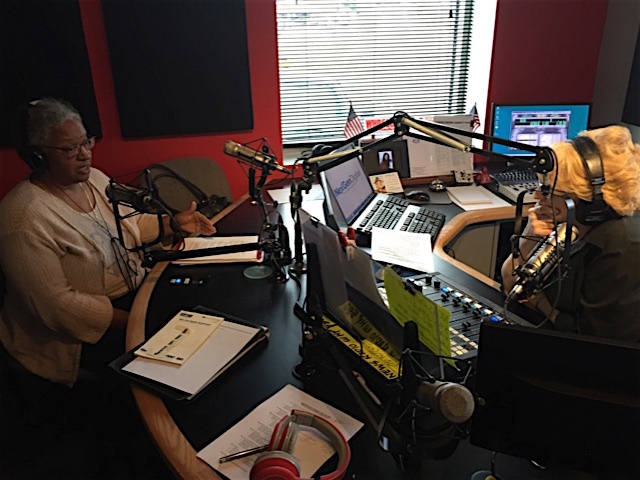 Joining host Sylvia Maus in the iHeartRadio studio in Harrisburg was Deborah Wilson Gadsden, a training specialist with Family Design Resources Inc. The program aired on eight iHeartRadio stations on Nov. 20. Gadsden is a graduate of the Workplace Bullying University and Pennsylvania co-coordinator for the Healthy Workplace Bill. The legislation, which was introduced in Pennsylvania's General Assembly in April 2015 as House Bill 1041, was referred to the House Committee on Labor and Industry. "We need it because we need to protect our workers," Gadsden said of the bill. "We need it to help them manage this onslaught of behavior that comes at them." However, because it was not acted upon before the legislature's term ended in November, the bill will have to be reintroduced in 2017. Gadsden is working to make that happen through a grassroots effort built around the Pennsylvanians for a Healthy Workplace Facebook page. It was through those efforts that she met the Pennsylvania couple that joined her on "Insight." The husband and wife and his employer were not identified by name. However, the couple described how a corporate reorganization created a hostile work environment for him and others. That led to his mental health problems, short-term disability and, ultimately, his employer's decision to terminate his employment despite his filing three complaints with his human resources department over two years. "He's afraid to leave the house," the wife said. "He's afraid to drive himself. He's afraid to interact with people that he doesn't know. That was never him before. So there's no trust in anyone." She indicated that her husband's mental health issues are not covered under workers' compensation. "There's really no legal avenue unless this Healthy Workplace Bill gets passed that we can navigate to," she said. "We're kind of between a rock and a hard place. If he were to have his arm cut off at work, he would have long-term disability for the rest of his life. But because he contracted a mental illness, long-term disability only lasts two years." Some 65 million workers in the United States are affected by workplace bullying, according to the Workplace Bullying Institute. The perpetrators tend to be male; bosses are the most likely culprits. Targets, Gadsden said, typically are competent at their jobs, which can be seen as threatening by someone new to an organization, who then targets the other person with abusive behavior. Victims may be subjected verbal abuse, threats, humiliation in front of peers. They may begin to feel isolated from co-workers. "You don't feel like you have the support that you need to do your job and to do a job well. And that can have an impact about how you feel about yourself. You start to question yourself: Am I really doing a good job? Did I really make that mistake? I thought I had everything covered. What happened to that report that I did? How did it get altered? All of those kinds of things become questions for you and then you start to question your ability to do your job."